Do the rewards of being a chef outweigh the hardships? 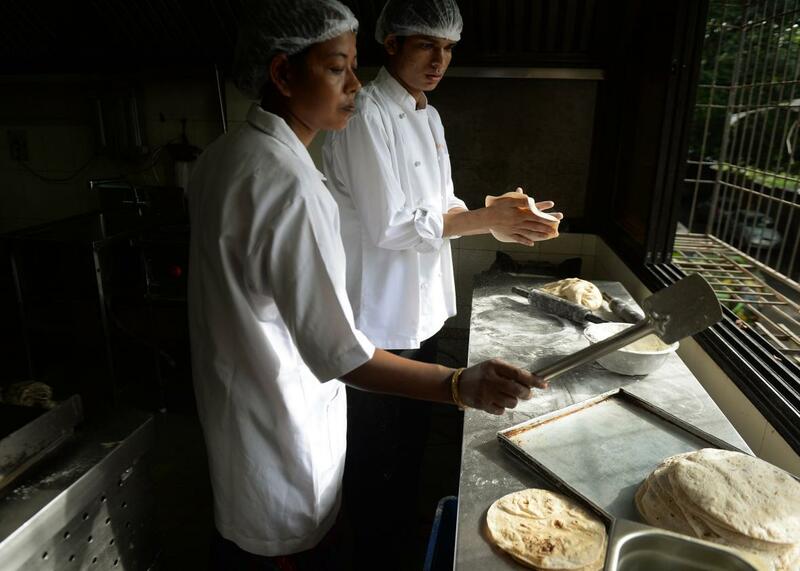 Cooks work in a kitchen in Mumbai on Sept. 2, 2015. This question originally appeared on Quora, the knowledge-sharing network where compelling questions are answered by people with unique insights. You can follow Quora on Twitter, Facebook, and Google Plus. In order to answer this, I think it’d be best to lay out the exact pros and cons of being a chef. The public seems to believe in its own misconceptions about these rewards and benefits, but let me assure you, there is no audience to applaud us, and there are no Emeril-style “BAM” moments in real life. Uncomfortable atmosphere. The kitchen is hot. Between the temperature and the high pressure environment of restaurant work, it can get difficult to do the actual job. Long hours. Don’t you love when Friday comes along and you attend family events, parties with your friends, and go out to dinner? Well, we are the ones cooking for you and missing out. “Social life” and “chef” are two terms that just don’t go together. Ask me who my favorite NFL team is, or the last movie I saw … I wouldn’t be able to tell you. After the weekend insanity, we’re still at the restaurant at 7 a.m. preparing Sunday brunch. It is not until 11 p.m. on Sunday that our “weekend” begins. Work with fire, knives, and dead animals. It’s rough, to say the least. Here’s a picture of how my arm looks today, with scars from a combination of oil burns and a scar from a kitchen accident when I was 17 and hadn’t developed great knife skills yet. Low pay. My cut-and-burned arm was borderline too much information. I wouldn’t dare post a picture of my car. To say the least, I do not drive a Lamborghini. The wages for cooking are not great at all. What is a sick day? Kitchens are staffed according to their exact needs. If you want a vacation, you sure as hell better start teaching the dishwasher how to work your station. There is no such thing as calling out sick. One New Year’s Eve, 10 minutes before service, I cut myself so badly that you could see the bone. There was no doubt that I needed some serious stitches, and I was in no shape to cook for three fully booked seatings. Still, it did not even cross my mind to leave. Paper towels, tape, more paper towels, tape, and a glove were put in place and 400 people had their food prepared by a cook with 1½ hands that night. OK, so we have established a pretty solid list of hardships. I cannot imagine a sane person reading this and understanding how anyone in this world is crazy enough to do this job. Why would anyone choose this life? Please, allow me to enlighten you. This list of hardships is by no means my complaining about the profession—if anything, these are the things that separate the truly passionate chefs from the average. These are the aspects about the chef life that turn far too many chefs into UPS drivers. For any real chef, these “hardships” are nothing. These are just small sacrifices that allow for one to engage in the most incredible craft man has ever had the opportunity to invent. Kitchen camaraderie. Social observations and experiments show that nothing unites a group of people more than a common enemy. Kitchen teams, like the NFL, the Navy SEALs, and political parties need to disregard their differences and unite against a force much more powerful than themselves. Every night at 5 p.m., we go into battle—flames blasting, knives slicing, servers yelling; overall chaos is the norm. A kitchen is only as strong as its weakest link. Every man and woman in the kitchen puts in his or her best efforts to fight through the kitchen chaos not only for themselves, but also for everyone else in the kitchen. When that last ticket is spiked and service is over, one cannot help but look around and feel an unexplainable bond with the people they have just made it through the battle with. You don’t answer to anyone. When the weekend hits, every chef in the kitchen knows exactly what to do. It doesn’t matter who is looking or how we act while we’re working—everyone knows the job has to get done. At your average 9-5 gig, people are usually slacking off, yet also on guard for the boss. As a chef, it’s the opposite situation, and in my opinion, it’s far more satisfying. You learn a craft that 99.9 percent of people on this planet could never do. Cooking is a blend of precision, speed, accuracy, and efficiency. Most people don’t realize all the factors that go into cooking itself, before you even consider the dynamics of working in a busy kitchen. When you combine the two, it’s a true art that few people can handle as a profession. There is a certain “flow” and an extreme sense of accomplishment during every service. As a cook, you’ll develop a specific flow of work—kind of like a high while you’re on the line cooking. These feelings of high and low, intense pressure, and a whole lot of other people relying on you will give you a constant rhythm and a great sense of success every single night. What is cooking, and what do chefs really do? The clutter of life and all the distractions in modern society put blinders on us and tend to prevent us from appreciating some of the most beautiful and simple things right in front of us. When you’re cooking, you can look at things for what they really are. Truthfully, it is absolutely amazing what we are doing. Man has been cooking since the dawn of time. The cavemen invented cooking while preparing animals over fire. There are very few things that every single person on this planet has in common—preparing and eating meals are universal activities that every human being does. What we as chefs have the ability to do on a daily basis is to take raw ingredients that the earth provides and craft them into anything we see fit. This is a phenomenal power to possess. There is a spiritual connection to the planet and life through cooking that is difficult to express in words. The fact that a local fisherman can stop by my restaurant with a fish he caught two hours ago and I can then craft his catch into a meal for people to enjoy in just a few hours is an incredible feeling that is both humbling and empowering at the same time. Cooking techniques: If there were ten commandments in cooking, what would they be? Professional chefs: Is Gordon Ramsay really a great chef? Cooking: Does food prepared with love actually taste better than if the person cooking was feeling miserable?